David Bowie's Serious Moonlight Tour ushered in the biggest concerts of his career thus far. 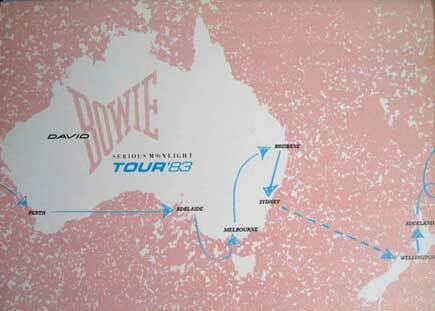 Like the previous world tour (1978's Low/Heroes Tour), multiple shows were spread across Australia and New Zealand starting from early November. 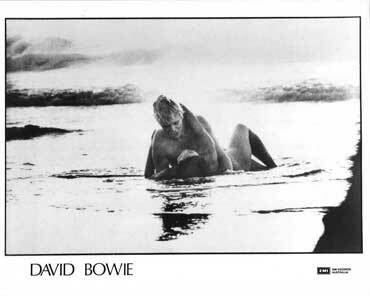 On this particular occasion, Perth would now be awarded 3 concerts (up from 2 in 1978) and Bowie would for the first time play New Zealand's capital city, Wellington. 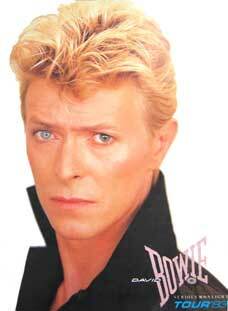 Around the time Bowie was touring North America (in July), down under dates were confirmed. The promoter (Paul Dainty) devised a system of selling tickets via mail, phone and over the counter. Left: 'Tour Hopping' as demonstrated in the Serious Moonlight Tour Programme. Right: Front cover. 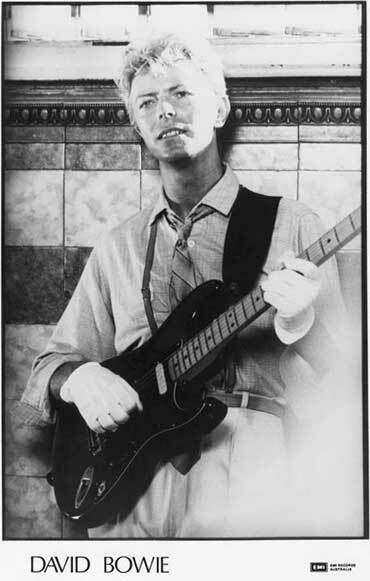 During 1983, Australia had become something of a focus for Bowie - primarily due to the videos of his smash hits 'Lets Dance' and 'China Girl'. (A detailed background and images can be found here). 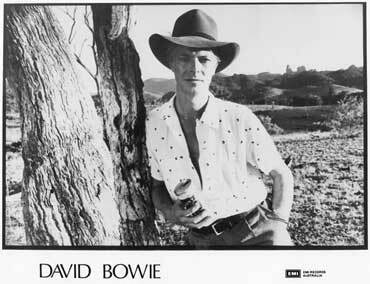 Whilst in town filming, Bowie was interviewed by Molly Meldrum at Pinch Gut Island overlooking Sydney Harbour. He also attended a Psychedelic Furs concert at Coogee Bay Hotel and met (lead singer) Richard Butler. The meeting was organised by CBS (Sony) promotions manager, Bruce Butler whose recollection and exclusive photos can be seen on this page. EMI promo images. Left and top right sent in by Eamonn. Below right sent in by Bruce Butler.